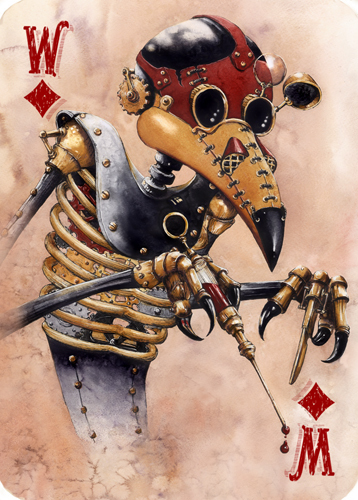 Grim Dream Art: Steampunk Playing Cards part 2. 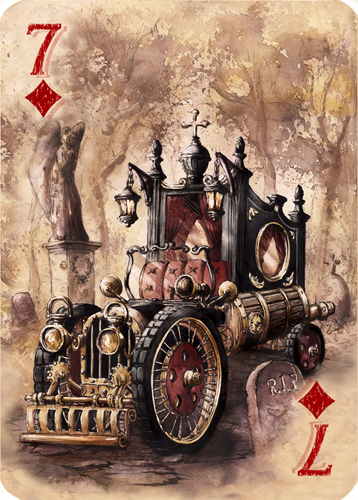 Time for the second portion of Steampunk cards created in an old school, traditional way (ink and watercolors). Today I'll focus on the red suits - hearts and diamonds. 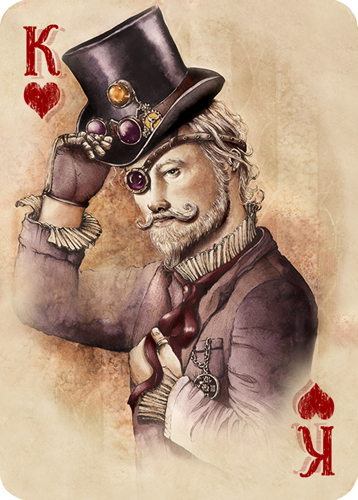 I hope that these few illustrations managed to arouse your curiosity and that you'll be willing to see steampunk pirates and inventors in the next blog post! 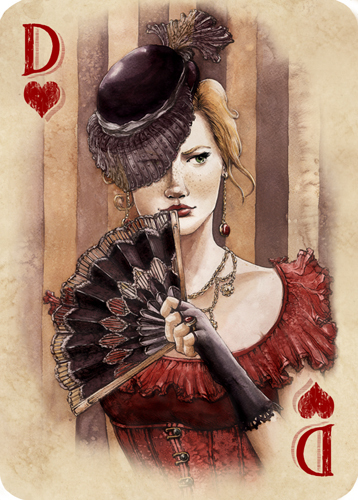 The deck was created for a Polish playing card company "Trefl".